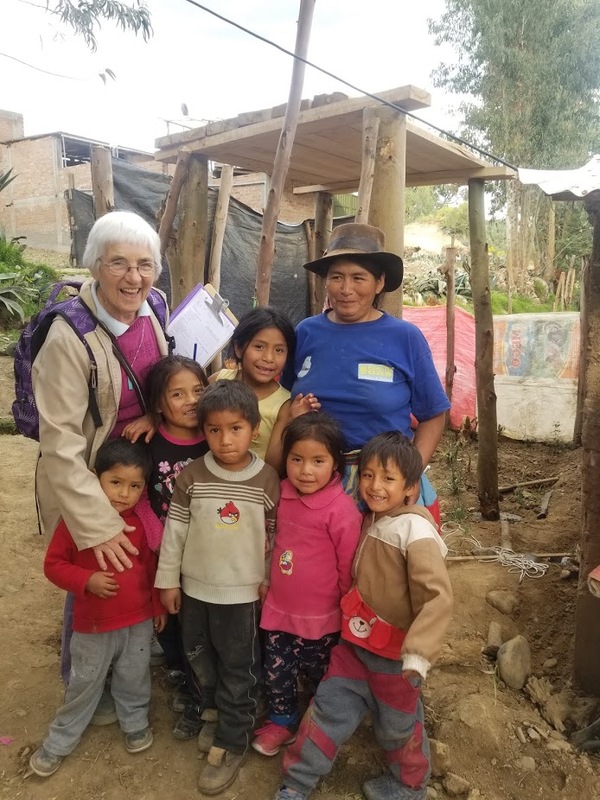 Jolynn Meza Wynkoop is one of our amazing international volunteers serving as a WASH (water, sanitation, and hygiene) in Peru. 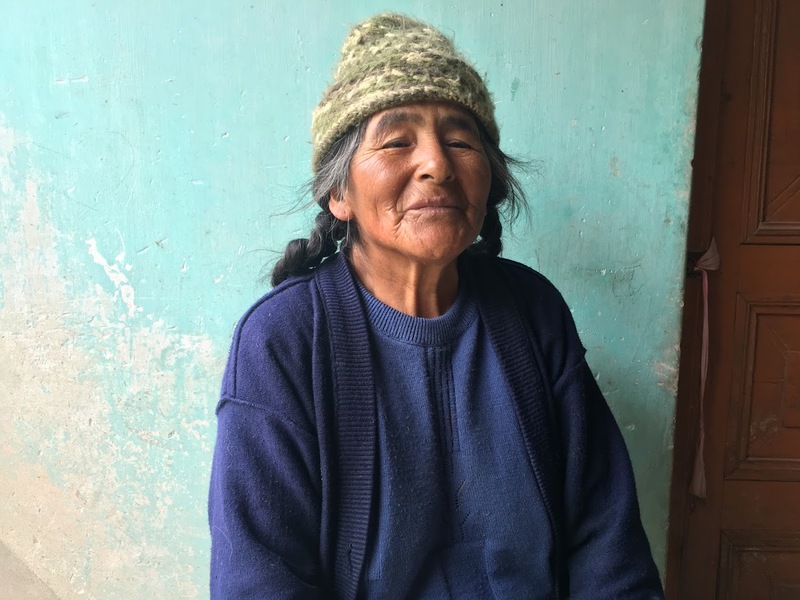 In the following piece she writes about how the lives in one community of Peru were changed forever this past holiday season! Did you get everything on your Christmas list this year? Well, we have 31 families in Peru whose wish for clean water came true! It all started with an idea that stuck with Hermana Yvette. Hermana Yvette is a sister with the Congregacion de Hermanas Siervas del Corazon de Maria. Since she had received funding from Roncalli in 2018, she was anxious to get a water tank installation project underway. 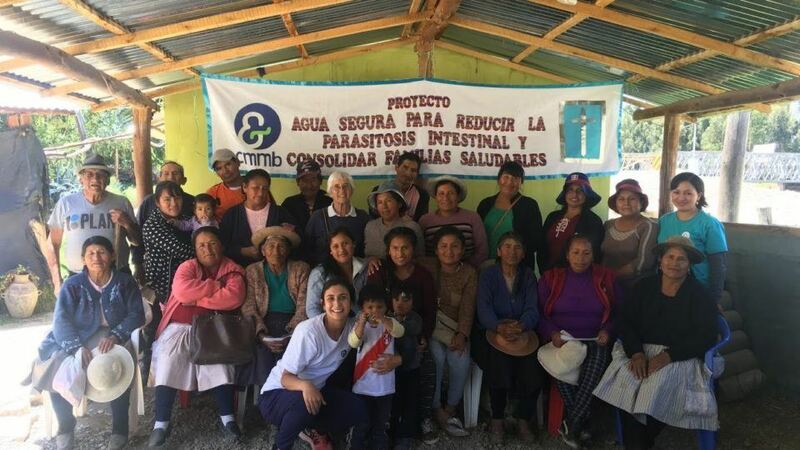 Partnering with CMMB, Hermana Yvette and the Huancayo, Peru team started the search for potential beneficiaries for the water tanks. Hermana Yvette with water tank beneficiary, Jesusa, and some local children in her neighborhood. Tambo Huari is in southern Huancayo and is made up of about 51 homes. It is a beautiful place to live with a hilly landscape covered with corn fields, farm land, and green grass. One river runs through the region and it is a main natural water source for the people there. Although the days are beautiful and sunny and the air is fresh, there is a lack of clean drinking water. The river, which was once a clean water source, has now become a polluted, but people have no other choice but to use it. 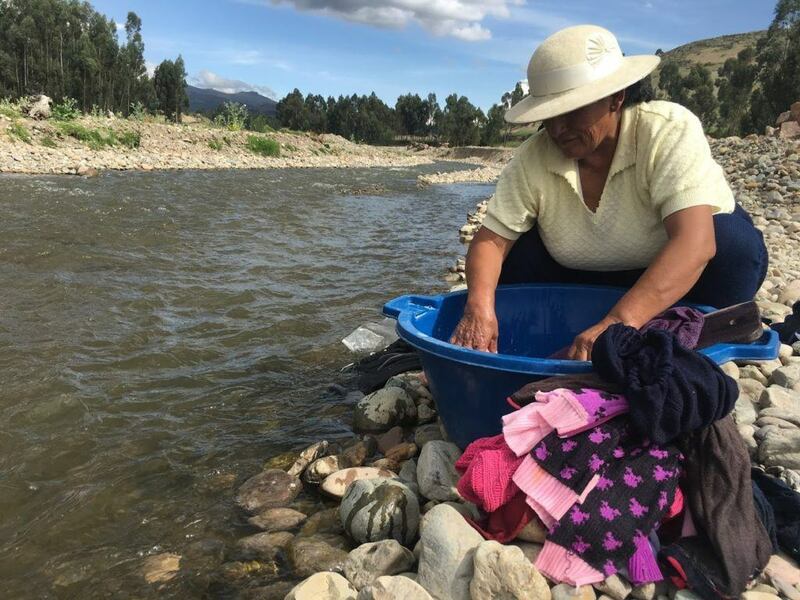 Yolanda washing clothes in the river running through Tambo Huari. 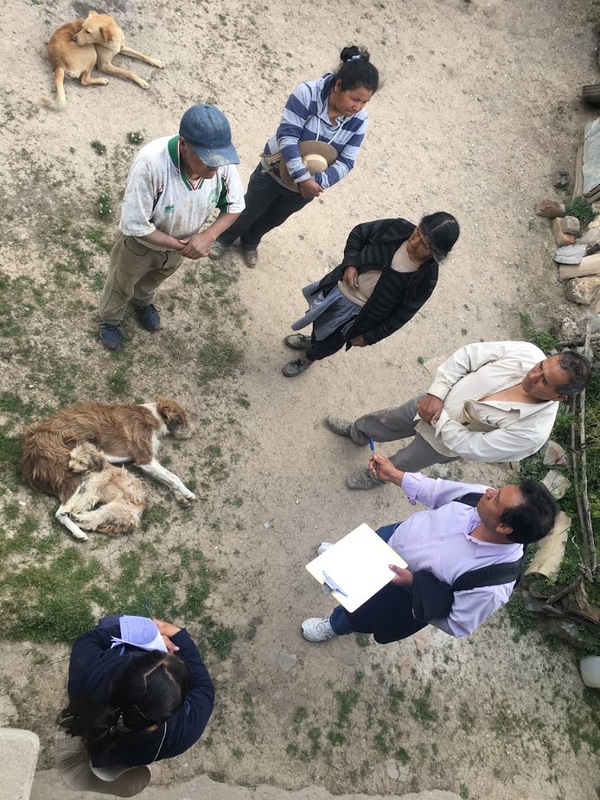 After Hermana Yvette decided on Tambo Huari as the location for the project, CMMB got to work helping to identify families that would benefit most from a water tank directly in their homes. 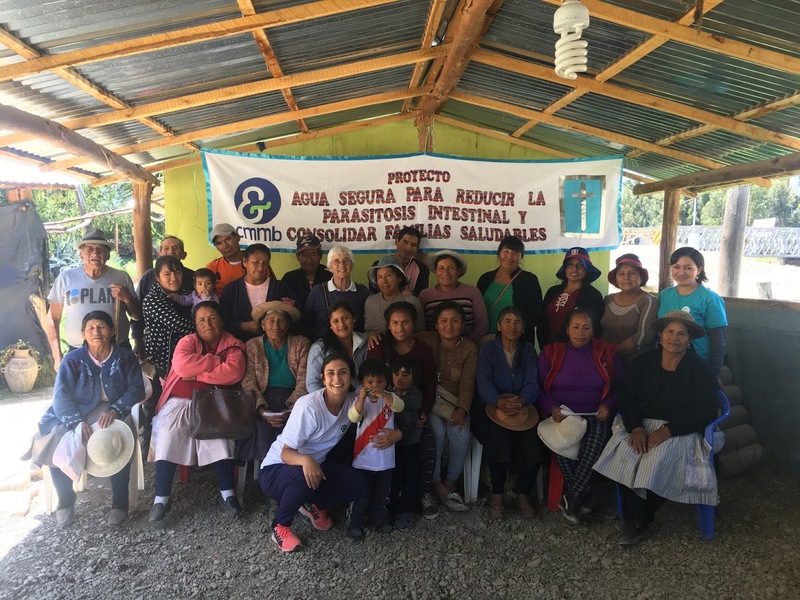 In order to receive a water tank, the families had to be willing to dig their own wells on their property, purchase all of the accessories necessary to pump the water from their wells to their homes, and take part in the Viviendas Saludables (healthy homes) project that CMMB runs. 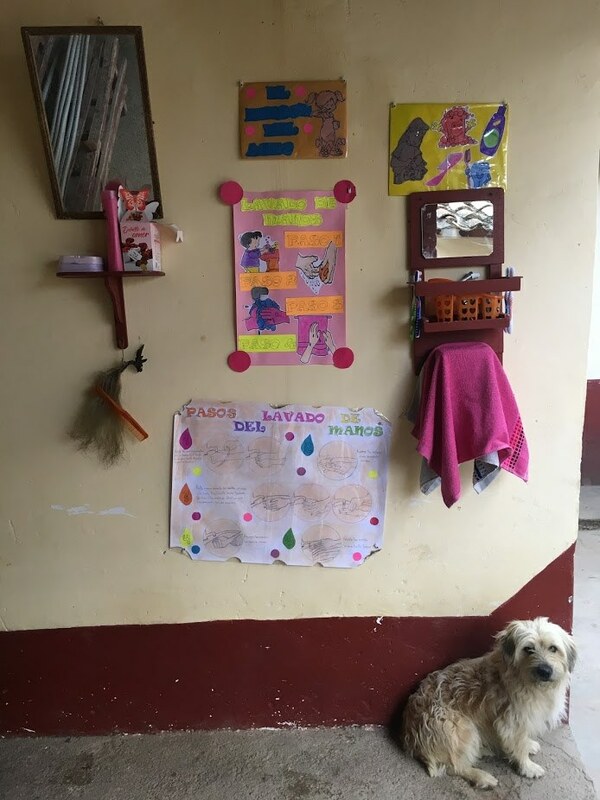 Viviendas Saludables is a project that teaches families how to create more healthy, sanitary environments that will help improve health outcomes for the entire family. We teach about hand washing in the home, how to disinfect water, moments that hand washing should be completed, the importance of separating organic and inorganic waste, and how to use simple items already located in the home to improve a living space. 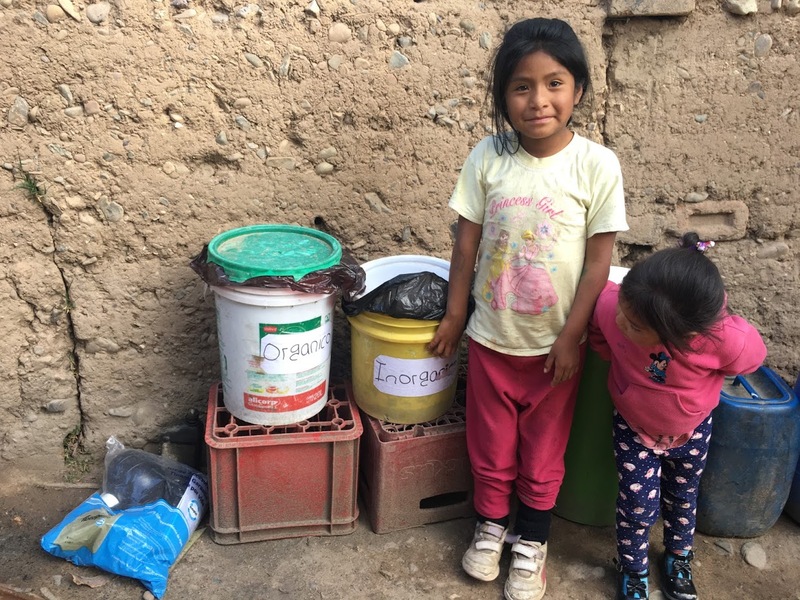 The project also focuses on teaching families about nutrition and ways to prevent anemia – an affliction that impacts many people, especially children living in poverty in Peru. 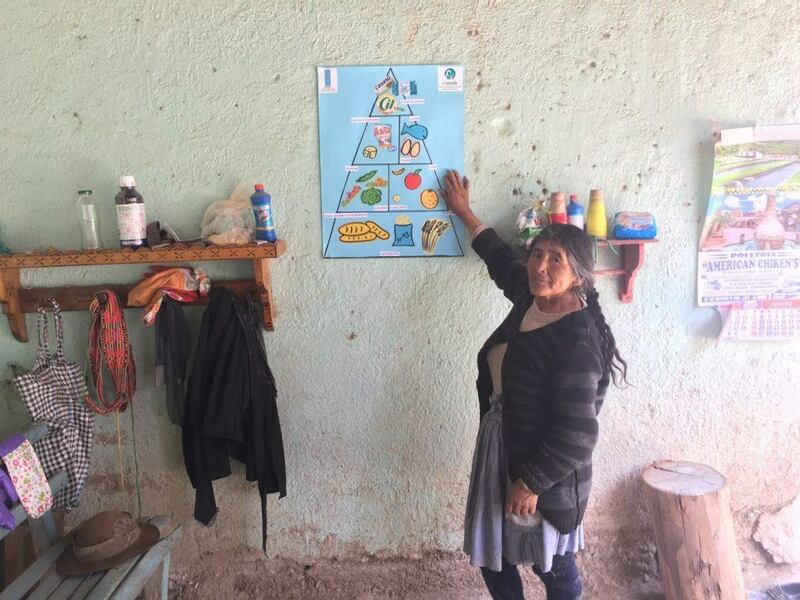 Juanita showing her food pyramid in her house. Two of Marcelina’s seven children showing their new garbage bins. A typical Rincon de Aseo. A few reminders for a healthier home. Over the course of one month, families came together and cleaned their homes. They learned about nutrition and made food pyramids. They learned the hand washing steps and wrote them down to continue to practice. They taught their children about the importance of a clean homes and worked together to maintain their living spaces. They made plans to either dig their own well or share with a neighbor. Members that were older in age had their children come and visit them to help them dig their wells and passageways for the pipes. People shared their extra accessories for their tanks they had bought, and shared information with their neighbors on the cheapest places in town to purchase their accessories. One woman even offered some trees on her property to a neighbor that was having trouble coming up with money to purchase wood to construct their platform for their tank. Juanita’s family meeting with engineer and CMMB staff. 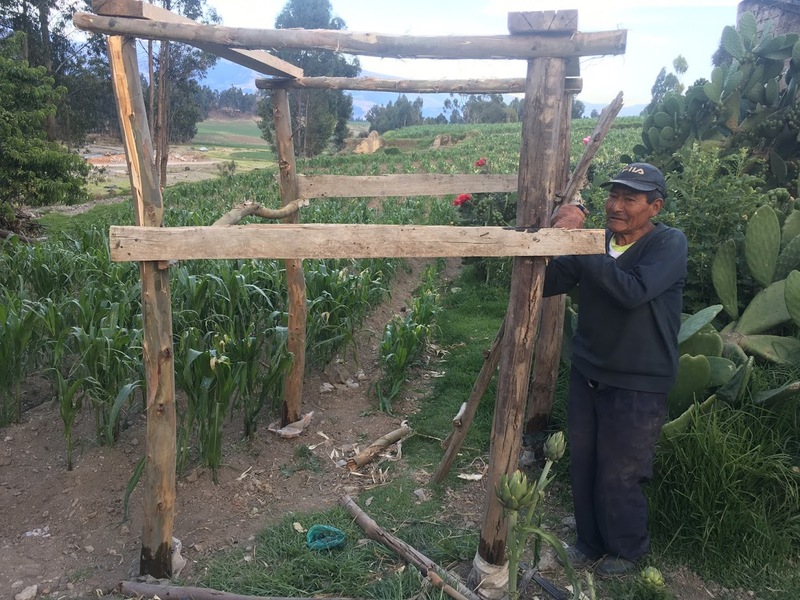 Water tank beneficiary, Jose, shows off the platform he helped construct for his family. Made out of eucalyptus tree trunks and some scrap wood. It wasn’t all easy though. Many families experienced hardship. 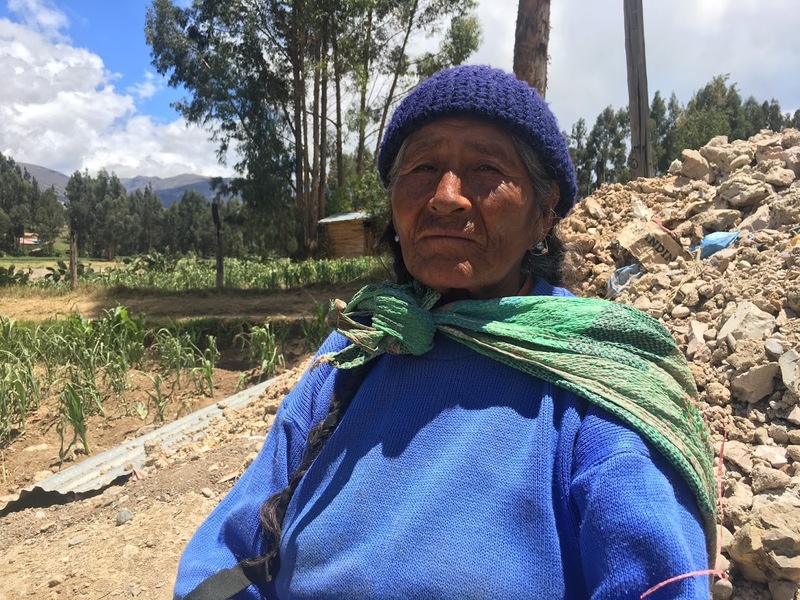 One beneficiary, Teodora, didn’t think that she would ever have access to clean water in her home. With little money and with her children living far away and unable to help out, she had no hope. “No tengo esperanza, Senorita,” she would say with tears running down her face. 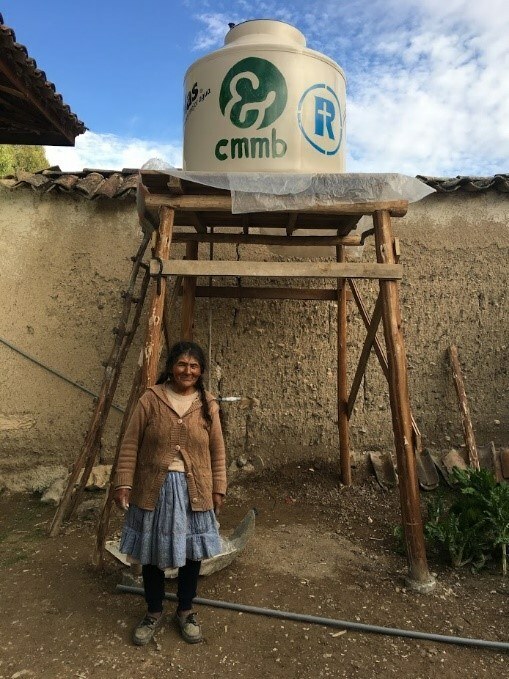 Through encouragement and help from her community, she slowly started gaining hope, little by little, to complete all of the prerequisites for her water tank. Other families had different problems. Even with an abundance of family members to help construct a well, some weren’t so lucky to find water. 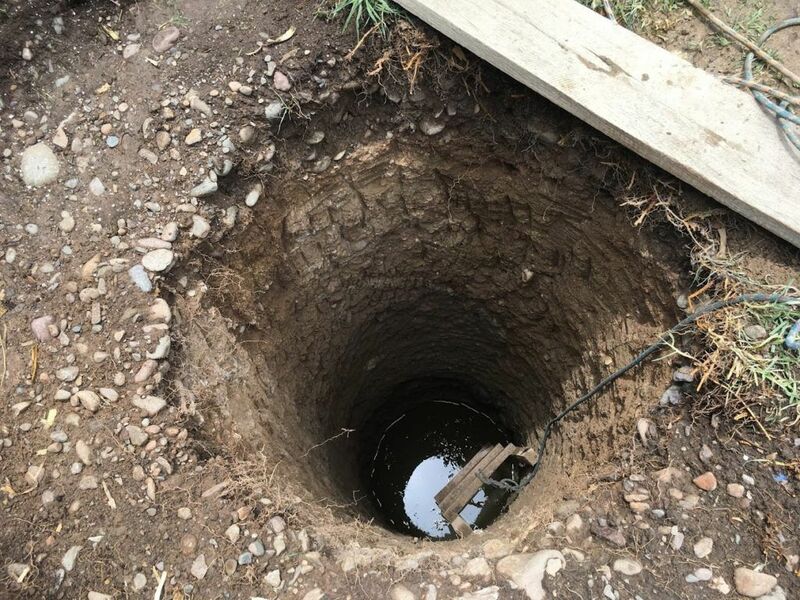 Digging a well can be tricky, and certain locations are better to dig than others. With limited technology, you can’t be so sure that you will find water when you start to dig in a given location. 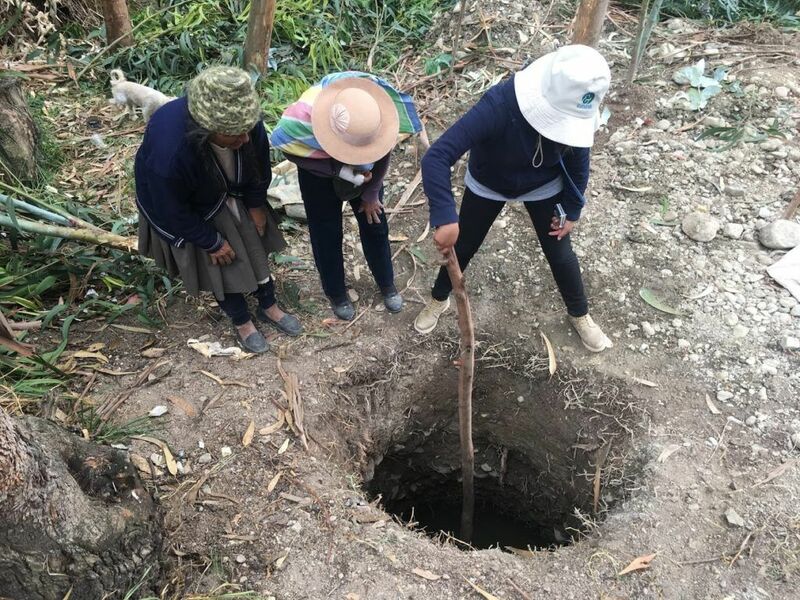 With prayers and cultural offerings, the people would begin to dig their wells, and if no water was found, they would have to start over and try a different location to build. Checking the height of the water located in the well. After all of the homes had passed inspections for the viviendas saludables project, the wells had been dug and water had been found, and all of the accessories were purchased and ready to install, CMMB came in and installed all 31 water tanks. Sometimes two a day, sometimes as many as three! As water tanks started going up in the community, people were becoming more and more excited. No longer would they have to travel with their wheelbarrow and water jugs to the nearest spicket to collect clean water. They would now be able to have water running directly into their homes. As long as they kept their water tanks full of water, they could use the water for all of their needs. Washing clothes could now happen in the home, instead of the river. Washing hands could be more easily completed with accessible, clean running water right into the home. People could now take a shower with water that fell from above, instead of using water out of a bucket. Water tank beneficiary, Juanita, posing with her new water tank. 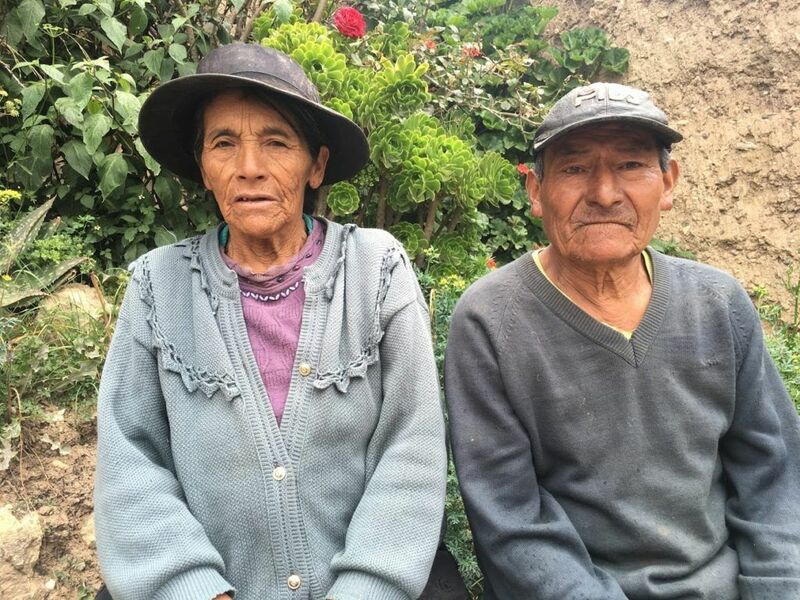 Teodora and Jose, water tank beneficiaries. We are always looking for volunteers – both clinical and programmatic – to serve in the communities we serve. Look into opportunities that might be right for you!